Choosing the right solar panel is an important part of the installation process. It ensures you get the most from your investment and make the best use of your roof space. 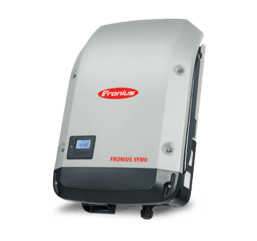 We’re constantly assessing the available panels on the market and believe our two brands offer the best value for money, while also catering to the different needs of households and businesses. 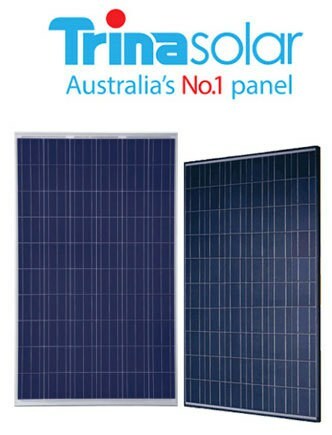 Trina solar panels offer exceptional value for money with proven performance and a competitive price. Trina solar is one of the largest solar panel manufacturers in the world, becoming the world’s number one solar module manufacturer by volume in 2014. Trina’s global headquarters and manufacturing is in China with a full Australian subsidiary based here in Sydney. Trina’s industry-leading position is based on excellence in innovation, superior product quality and environmental stewardship. With exceptional products such as the Honey Module, Trina Solar offers high efficiencies and excellent build quality, at an affordable cost. Solar power projects, both residential and commercial, rely on high quality products that stand the test of time in order to deliver the expected return on investment. Trina Solar products have a strong track record of reliability and performance in the field. Trina solar panels have been used in some of the largest commercial installations in Australia and throughout the world. As a vertically integrated company, Trina tightly controls quality at every step from silicon crystallization to module deployment in the field. LG has been manufacturing electrical goods since 1958, and they’ve been researching solar technology since the mid 1980s. 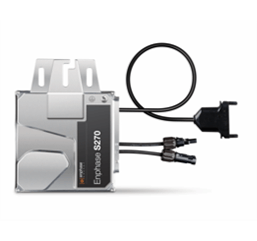 With offices throughout Australia, and their solar division based in Sydney, they offer a reliable, high quality product with excellent after sales service. LG solar panels are manufactured in an entirely automated manufacturing facility in Gumi, South Korea. The manufacturing process is fully vertically integrated, which means that LG undertakes and controls every stage of production, from sourcing the silicon to manufacturing the cells and solar modules. LG solar panels come with an industry-leading 12-year parts and labour product warranty and 25-year performance warranty backed here in Australia by LG Electronics. In order to be sold in Australia, solar modules have to be tested and pass the International Electrotechnical Commission (IEC) standards tests. To guarantee theirs is a robust and long lasting solar panel, LG Electronics tests its panels in LG’s special testing lab well beyond general IEC standards. LG has one of the most stringent quality control procedures in the manufacturing of its solar cells and solar modules. The new LG NeON™2 solar module range launched in late 2015 offers excellent performance from low light to peak sun. The NeON™2 315Watt and 320Watt panels are LG’s most efficient solar panel, optimizing roof space and producing more electricity than standard mono-crystalline modules. The LG NeON™ range won the prestigious Intersolar Award in Europe for innovation in 2013 and 2015, as well as a range of other international awards. 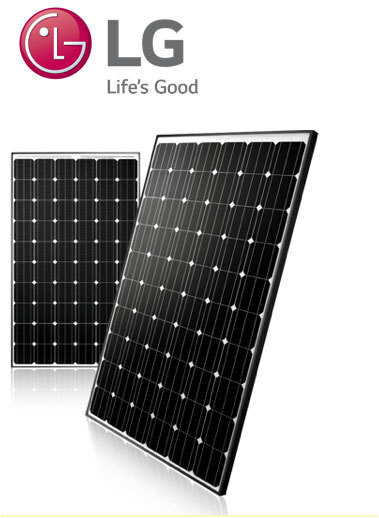 The LG NeON™2 315Watt and 320Watt solar panels are the same size as a standard 250Watt solar panel. 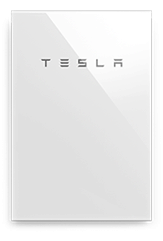 They are ideal if you a have a shortage of roof space and are trying to extract maximum output or are considering batteries and future system expansion. 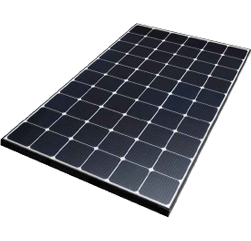 A premium and efficient solar panel like the LG NeON™2, with its industry-leading warranty, backed by an extremely reputable manufacturer offers greater value to our customers over the long term than a budget panel. The LG panel range not only leads in electricity output, but they’re stylish with a black anodised frame and 12 wire busbars. If you are seeking a premium solar product, the LG solar panels are for you. An exceptional, high quality product, with only 2 out of 220,000 LG solar panels distributed in Australia and New Zealand returned as at July 2015 .